Did you know that you can import your Vizualize.me infographic resume directly in Venngage’s editor in just a couple of clicks? Here is a step-by-step guide on how to download your Vizualize.me infographic resume to Venngage! 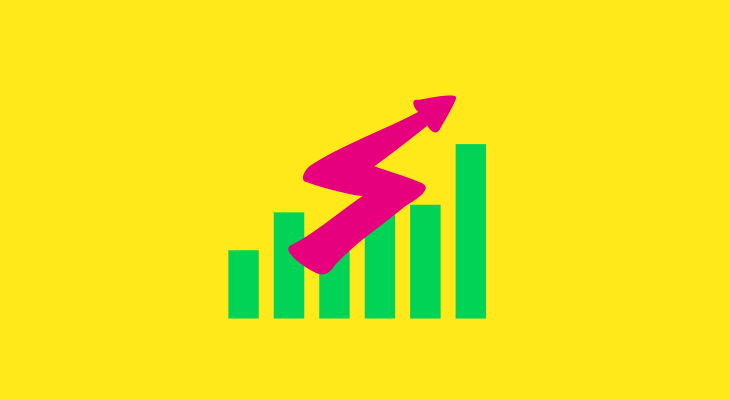 You will need to have a paid plan to download your Vizualize.me profile to Venngage. 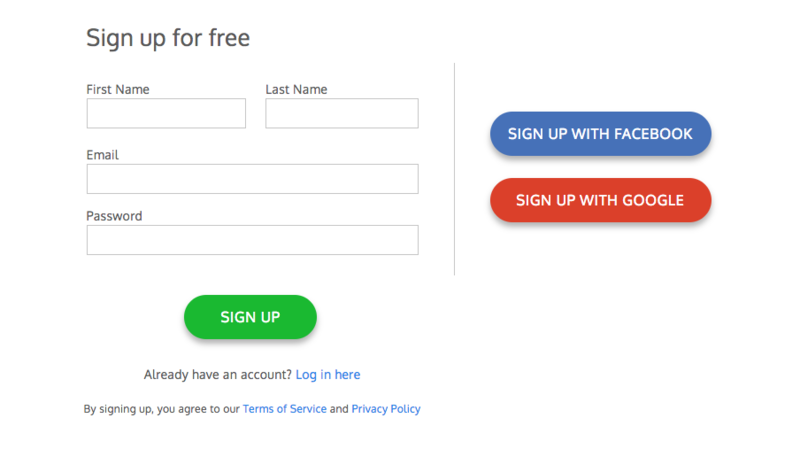 Find out more about our plan options on our pricing page. 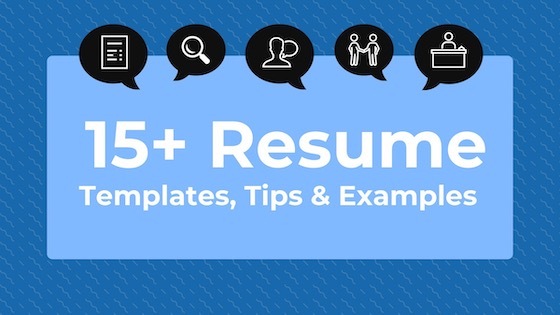 While Venngage offers hundreds of infographic resume templates, you can also create your own designs from scratch. 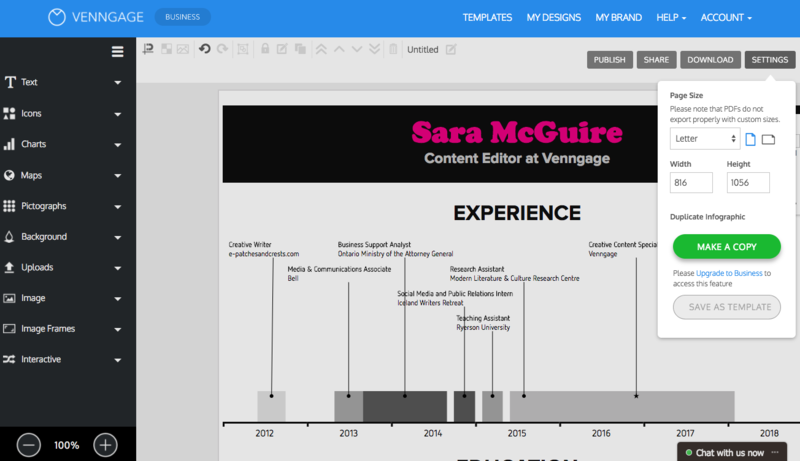 You can find the blank canvas by clicking on Templates > Layouts > Blank Canvas. Find the Interactive option in the side menu. There, you can find the Vizualize.me widget, along with some of our other interactive features. 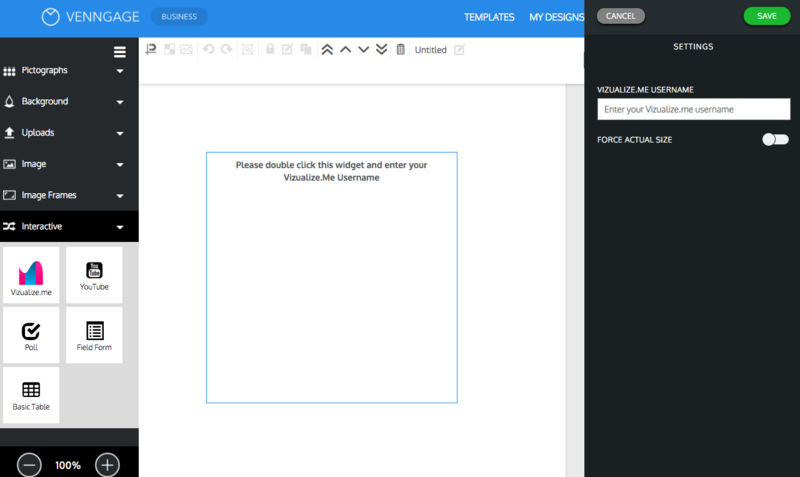 Once you’ve dragged the Vizualize.me widget onto your canvas, simply double click in the square to open up the editor. 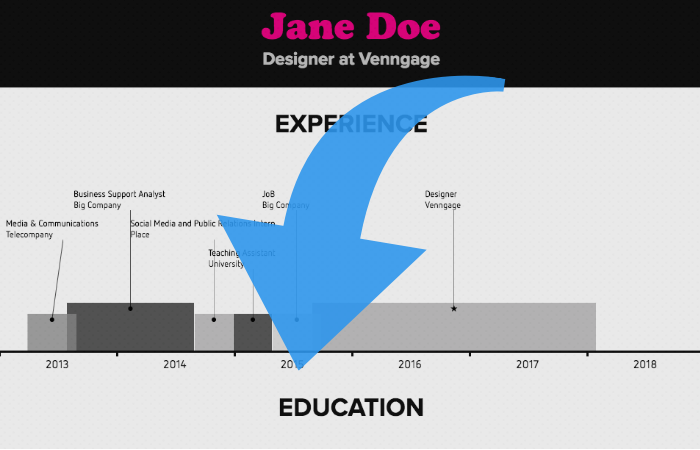 Once you click Save, it may take a moment for Venngage to pull your infographic resume from Vizualize.me. Sit tight! Once the image imports, you will be able to resize it. There are two ways you can resize your image. The first way is to click the image and resize it manually. The second way is to select “Force Actual Resize” in the editor. Then, resize your canvas to your desired dimensions. Click Settings to open the page options. 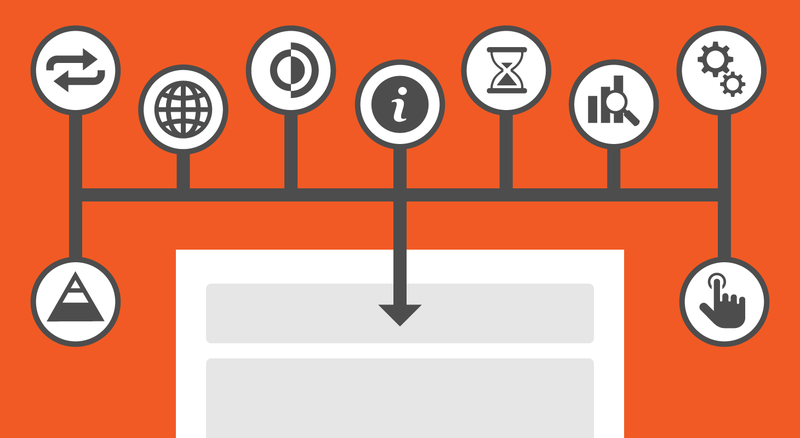 Now that you’ve successfully imported your Vizualize.me infographic resume into Venngage, you can choose to publish, share, or download it. 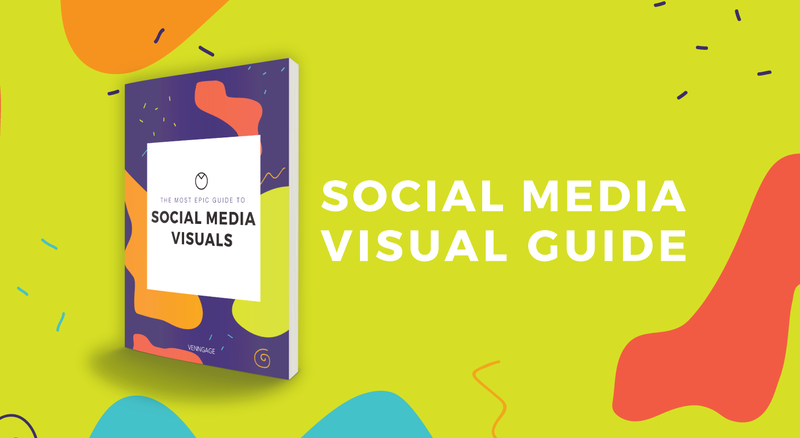 You can share your infographic with a private link, in an email, or directly to social media. 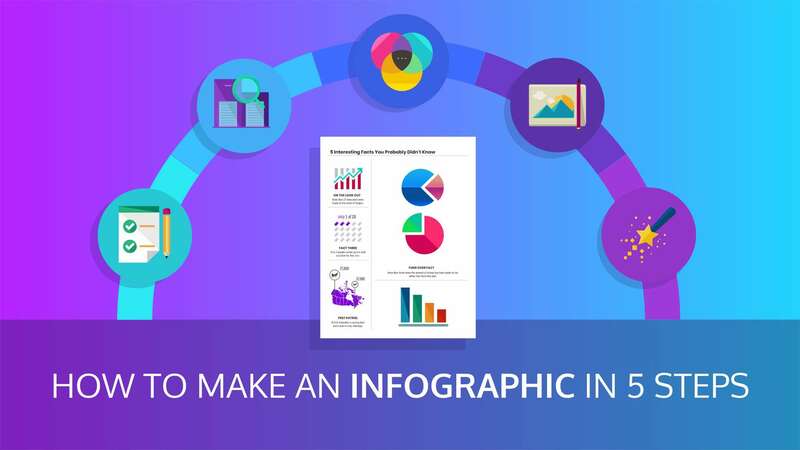 If you want to download your infographic, you have the option of exporting it as a PNG, PDF, or even an interactive PDF. 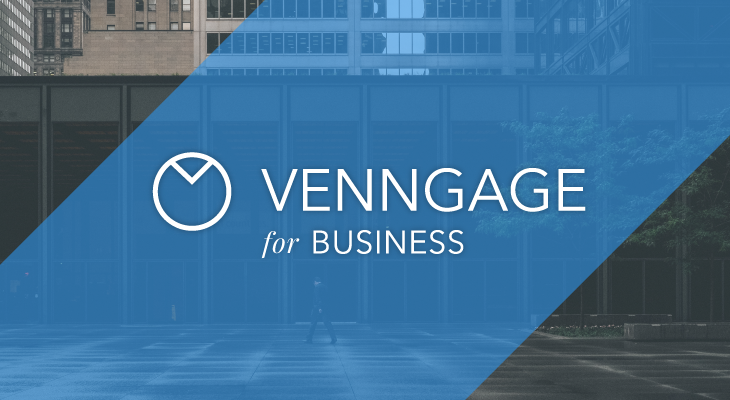 Now that you’re signed up for Venngage, you can create infographics for a wide variety of different purposes. Check out our templates library for more ideas!